For biscuit mix eggs with sugar and vanilla sugar. Add flour, baking powder and cocoa. Mix all well. 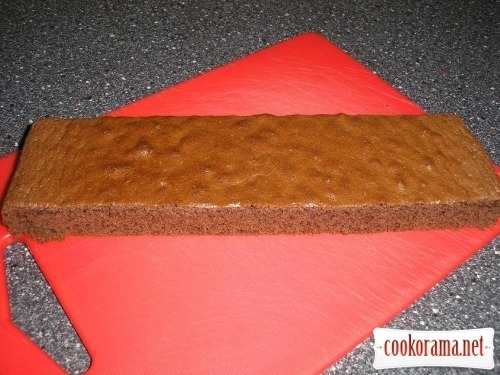 Cover the bottom of square form with baking paper, grease sides with butter. Pout dough in form. Bake at 180 degrees for 30 min. While biscuit is baking, prepare cream. Mix cream with sugar powder, add cheese, mix again and put in the fridge. Cut ready chilled biscuit in 4 strips. Cut each strip in other 4 parts, you`ll have 16 squares. Cut each in 2 halves. 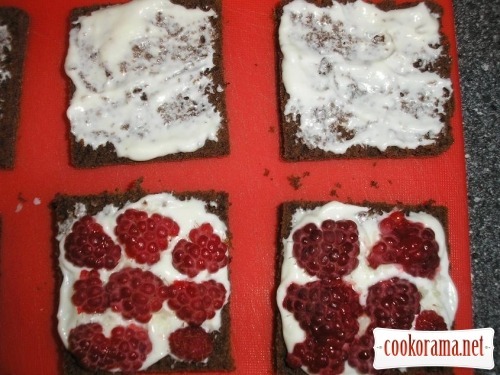 Smear both halves from inside with cream, spread raspberry on the lower one (I broke raspberry a little). Stick two parts together. 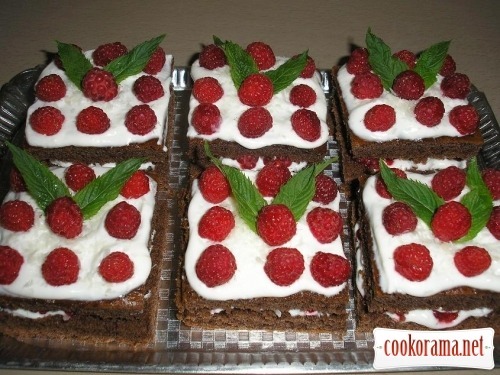 Smear the top with cream, decorate with raspberry and mint leaves. 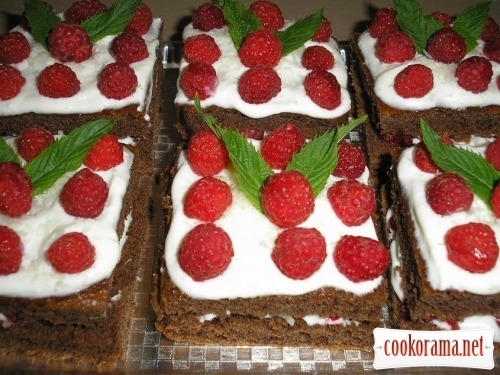 Top of recipe "Raspberry-coconut cake"
Шикарно просто. Так оригінально і так просто! Супер! Просто і смачно і так апетитно дивиться.